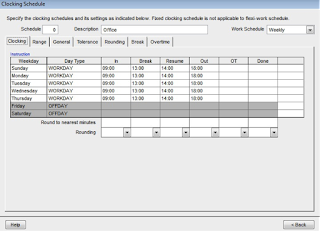 The TCMSV2 software can give more flexibility for users to manage their time attendance record better. 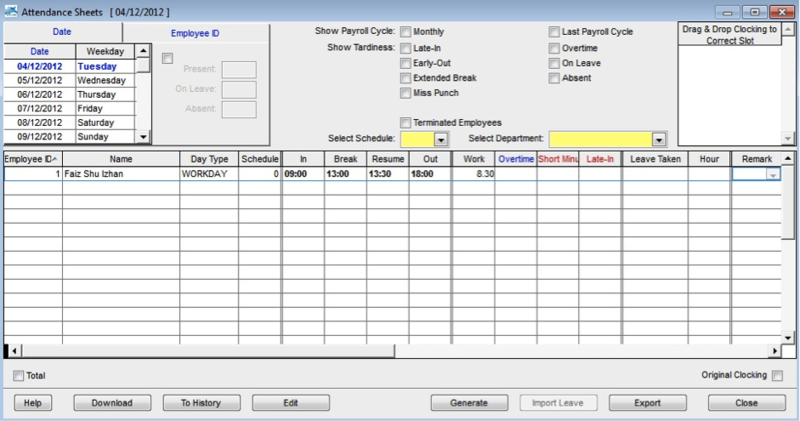 Users can set the remaining time of their lunch break to become either worktime or overtime. With this function, employees have the option to resume their job earlier from lunch break and claim the remaining time as either worktime or overtime. 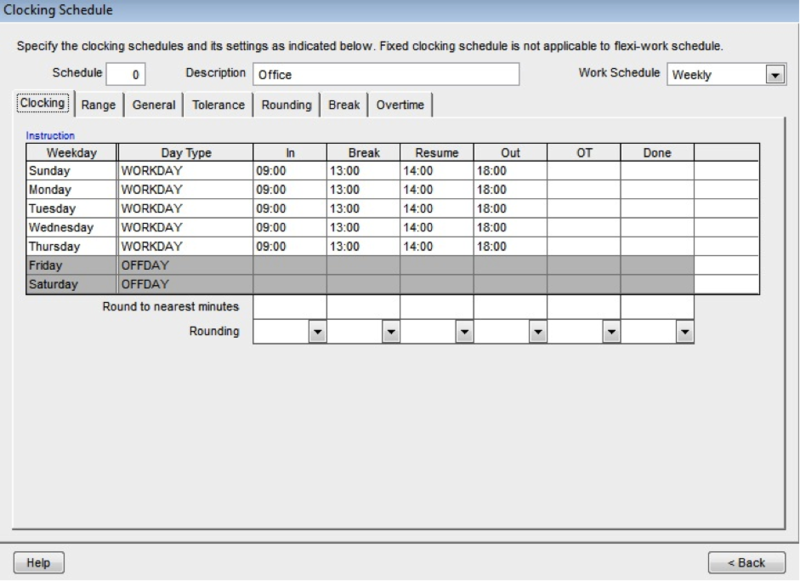 Create the clocking schedule. 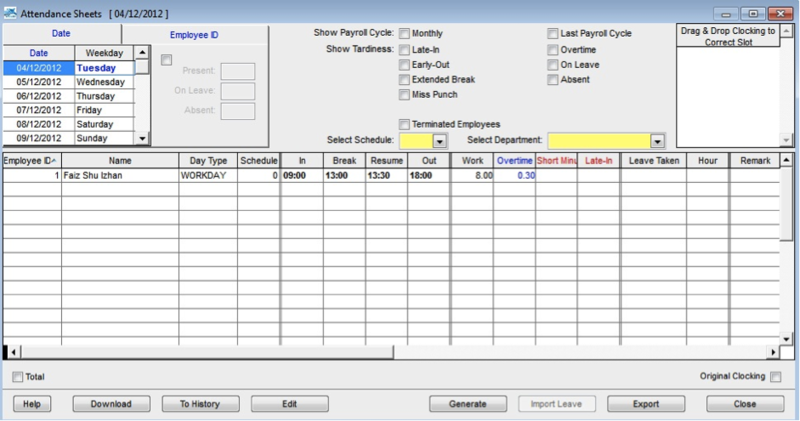 Example: IN – 0900 / BREAK – 1300 / RESUME – 1400 / OUT – 1800. 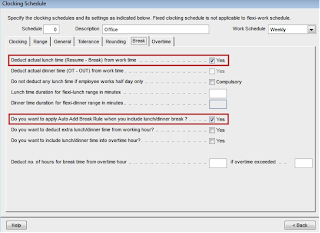 Do you want to apply Auto Add Break Rule when you include lunch/dinner break? 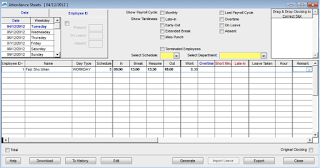 Generate the attendance sheet to apply the new setting. The remaining 30 minutes from the lunch break (1330 until 1400) will now be calculated as worktime. Do you want to include lunch/dinner time into overtime hour? 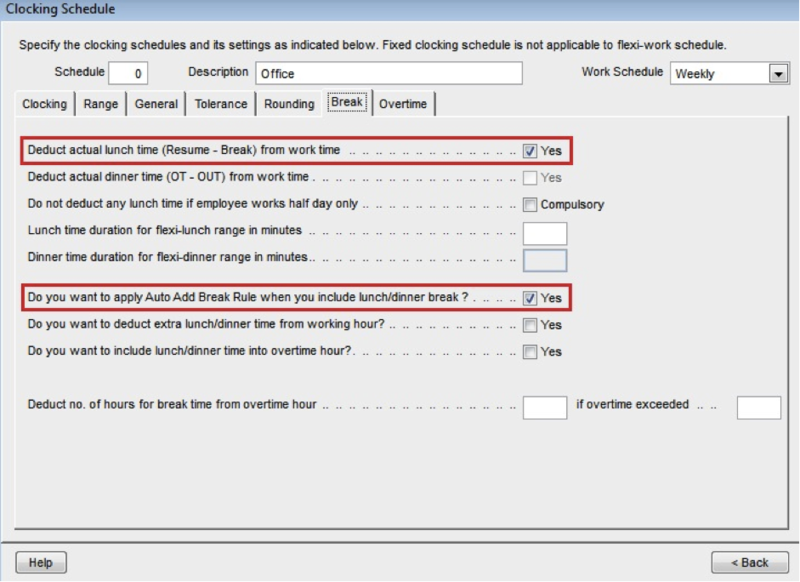 Remarks: Make sure you tick all the three options to calculate the balance of lunch time as overtime. The remaining 30 minutes from the lunch break (1330 until 1400) will now be calculated as overtime.